There are several variations of the Roulette game. This article will help you to choose the best Roulette. This one is considered to be the most popular. It has 38 numbered red and black slots and two "zero" pockets: single zero "0" and double zero "00". This additional pocket offers some additional options for betting. 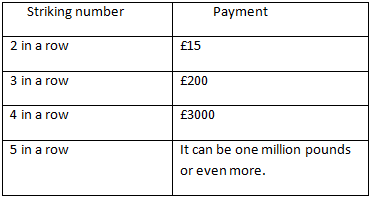 But there will be no payout for outside bets if the Roulette ball lands in a "zero". The house edge for American Roulette is 5.2%. European Roulette is almost similar to its American counterpart. The difference is that there is no "double zero" on European Roulette wheel. And that is the reason of better odds one would have playing European Roulette. The European Roulette's house edge is 2.6%, a half of American. 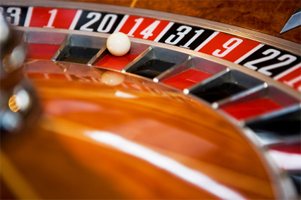 Most UK casinos offer European Roulette for their players. The rule means that one will lose only 50% of his/her even-money bet if the Roulette wheel stops on "zero". If the Roulette ball lands on "zero" pocket and if it is the outside bet, a player has a chance to use this rule. The dealer marks the bet with a special marker "En Prison" and on the next spin if this bet wins the stake is returned, if it is "0" the stake will be on the table one more time, and if it loses the player loses the stake. This type of the Roulette game is well-known among online casino players. For example, Spin Palace online casino offers Roulette Royal which has an automatic fixed side bet and progressive jackpots. Just like in Slots game. One should hit the same number five times in a row. Only a few internet casinos offer this Roulette variation. Playing Multiple Roulette one has an opportunity to play several Roulette wheels at a time. This Roulette has an additional pocket on its wheel and when the ball lends on it, a player gets such bonus as free spin.